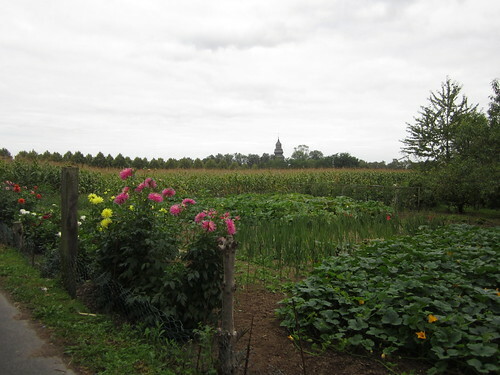 … Yes, late Summer. When the Christmas stuff starts appearing in the German supermarkets. They’ve still got all the Oktoberfest produce in too. I only popped in for a carton of milk! 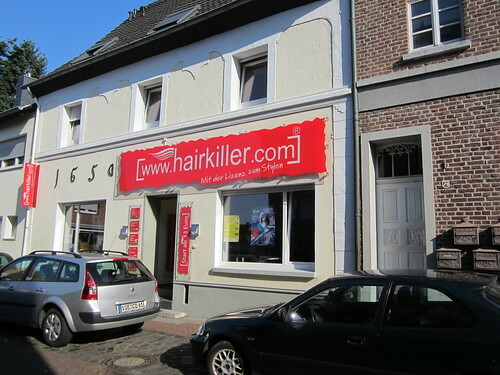 I was in the German town of Brüggen this morning when I spotted a couple of hair and beauty salons. Their names definitely did not tempt me to go in…. Hairstyling for the brave… or the bald? 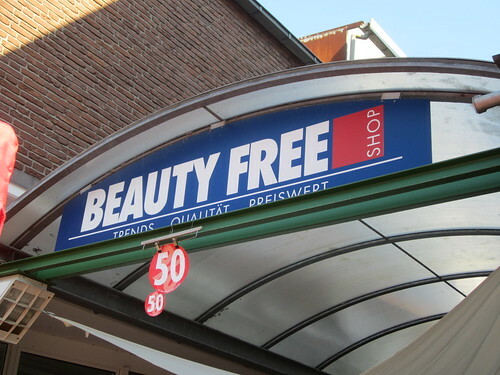 Beauty free …. hang on, that means ugly, right? 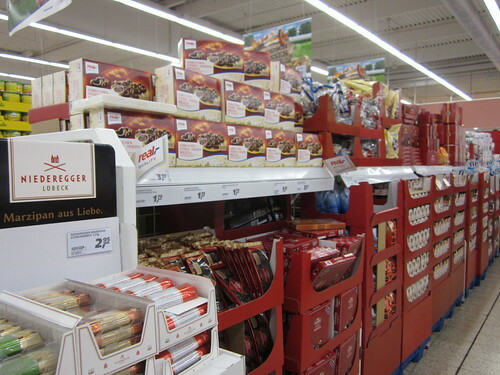 With the Oktoberfest coming up, strange and unfamiliar products have been appearing in almost every aisle of the supermarkets up here in Northrhine Westphalia. 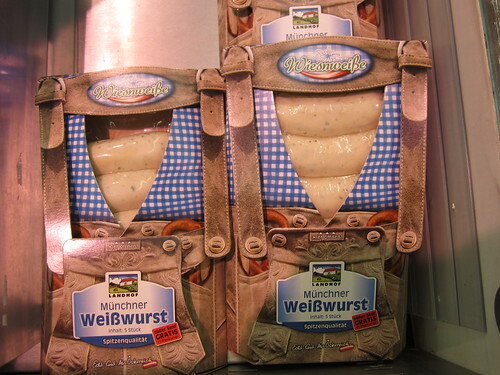 Everything from Weisswurst to Lederhosen to funny little handbags with Edelweiss embroidered on them. But yesterday I spotted a new line in the ladies’ underwear section. The Dirndl Bra. 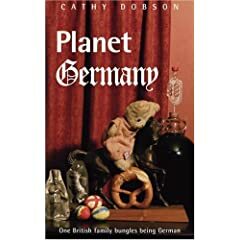 This is clearly the secret weapon used by German women to turn their otherwise normal looking bust into that impressive ship’s prow which juts out of every Dirndl-blouse. Not so much a push-up bra as a piece of lace-edged scaffolding. Even the size of the box is scary! German ladies… we know your secret!